The overarching Western objective in Afghanistan should be to prevent that country from becoming not just a haven for transnational terrorists, but a terrorist ally as well. That was the situation prior to 9/11 and it would be so again if the Taliban returned to power with al-Qaeda backing. NATO can prevent this indefinitely as long as it is willing to commit significant military and economic resources to a counter-insurgency effort. It cannot eliminate the threat, however, as long as the Afghan insurgents enjoy sanctuary in and support from Pakistan. Alternatively, this objective could be achieved if the Taliban could be persuaded to cut its ties to al-Qaeda and end its insurgency in exchange for some role in Afghan governance short of total control. Success in war depends on alignment between operations and strategy. 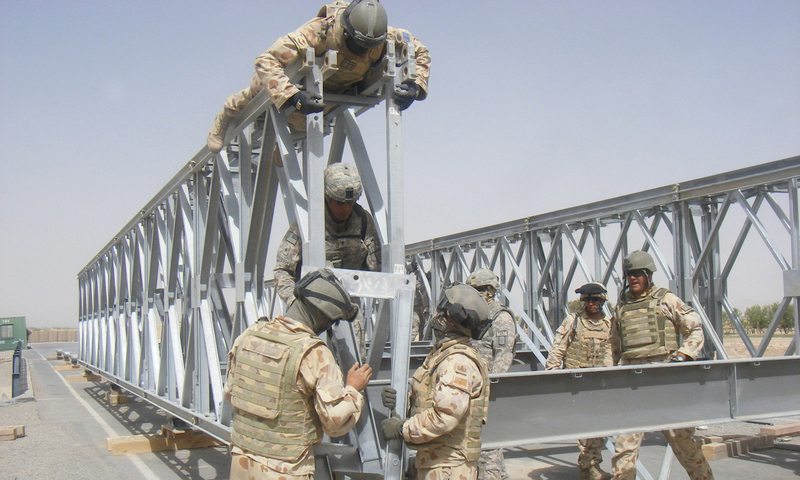 Commonly, such alignment takes time as civilian and military leaders assess the effectiveness of operations and adjust them to ensure that strategic objectives are achieved. This article assesses prospects for the US-led campaign in Afghanistan. Drawing on extensive field research, the authors find that significant progress has been made at the operational level in four key areas: the approach to counterinsurgency operations, development of Afghan security forces, growth of Afghan sub-national governance and military momentum on the ground. However, the situation is bleak at the strategic level. The article identifies three strategic obstacles to campaign success: corruption in Afghan national government, war-weariness in NATO countries and insurgent safe havens in Pakistan. These strategic problems require political developments that are beyond the capabilities of the International Security Assistance Force (ISAF). In other words, further progress at the operational level will not bring ‘victory’. It concludes, therefore, that there is an operational-strategic disconnect at the heart of the ISAF campaign. This article reassesses the extent to which the British Army has been able to adapt to the counter-insurgency campaign in Helmand Province, Afghanistan. While adopting Farrell’s definition of bottom-up military adaptation, this article contends that the task force/brigade level of analysis adopted by Farrell and Farrell and Gordon has led them to overstate the degree to which innovation arising from processes of bottom-up adaptation has actually ensued. Drawing on lower level tactical unit interviews and other data, this article demonstrates how units have been unable or unwilling to execute non-kinetic population-centric operations due to their lack of understanding of the principles of counter-insurgency warfare. In recent years, international organizations have concluded that standard principles of Public Finance Management (PFM) are equally applicable to all areas of the national budget, including the security sector. In many cases long-term external assistance may be required for the security sector, generating severe trade-offs with other priority sectors which also require long-term external support. Overcoming the legacy of a fiscally unsustainable and poorly managed security sector calls for full application of PFM principles to support the establishment of checks and balances required to establish a wholly accountable security sector. The recent World Bank PFM review of Afghanistan, perhaps the first example of such a review, provides a number of lessons, summarized in this note. Some of these include: security in post-conflict situations is a key condition for a return to political normalcy and conversely, development is also needed for security; PFM practices can take into consideration the most complex and confidential issues without undermining the application of the fundamental principles of accountability to elected civil authorities; and reviewing security reform through a PFM lens reduces risks and costs to both the country concerned and donors. The disarmament, demobilisation and reintegration (DDR) process in Afghanistan, widely acknowledged as flawed, has contributed to fragmentation and insecurity within Afghanistan. Based upon discussions with more than 500 DDR programme beneficiaries, the article describes the manner in which the reintegration process increased former combatants’ and commanders’ vulnerability to remobilisation in support of or in opposition to the Taliban-led insurgency by weakening cohesion between combatants and their former commanders and by fostering ineffective and culturally inappropriate livelihoods. The author argues that the DDR process and other international and Afghan government interventions have, furthermore, contributed to the fragmentation of the country and the straining of internal, regional tensions. The Taliban, as well as those fighting under its banner, has been the primary beneficiary of this fragmentation and has consolidated a highly diverse coalition of fighters. The opposing trends of a fragmented social, economic and political context, in relation to both individual former combatants and the country as a whole, and an increasingly cohesive insurgency will continue to contribute to greater insecurity and the potential for intra-state conflict. The book provides an updated account of justice reform in Afghanistan, which started in the wake of the US-led military intervention of 2001. In particular, it focuses on the role of international actors and their interaction with local stakeholders, highlighting some provisional results, together with problems and dilemmas encountered in the reform activities. Since the mid-1990s, justice system reform has become increasingly important in state-building operations, particularly with regard to the international administrations of Bosnia, Kosovo, East Slavonia and East Timor. Statebuilding and Justice Reform examines in depth the reform of justice in Afghanistan, evaluating whether the success of reform may be linked to any specific feature or approach. In doing so, it stresses the need for development programmes in the field of justice to be implemented through a multilateral approach, involving domestic authorities and other relevant stakeholders. Success is therefore linked to limiting the political interests of donors; establishing functioning pooled financing mechanisms; restricting the use of bilateral projects; improving the efficacy of technical and financial aid; and concentrating the attention on the ‘demand for justice’ at local level rather than on the traditional supply of financial and technical assistance. Security & Justice Development-What Next? The development of local security and justice sectors in developing, fragile and conflict-affected states has for a long time been an important strand in the UK’s approach to delivering its national security and development objectives. The 2009 White Paper on international development committed DFID to placing considerably greater emphasis on promoting security and access to justice in developing states. The Ministry of Defence’s Green Paper is likely to place greater emphasis on soft power, including security cooperation activities. In some countries, the UK has poured bilateral resources into this domain, from the training of Afghan military and police to the reform of the Sierra Leone security sector and the strengthening of various African militaries and police forces. DFID’s White Paper commitments come 10 years after then DFID Secretary of State Clare Short took the bold step of putting Security Sector Reform (SSR) squarely on the development agenda. In the interim, the UK has taken a leading role in undertaking SSR-related projects in its bilateral programmes and in shaping the international donor debate. The success of international lobbying by the UK has been reflected in documents such as the OECD DAC’s guidelines on SSR and the UN’s adoption of the concept. While security and justice is unlikely to become a Millenium Development goal, the fact that it is discussed as such is a tribute to the progress that this agenda has made. The UK’s recent (re)commitment to the security and justice agenda is a worthy enterprise. However, achieving success will require three things: further conceptual clarity, a revamped international influence campaign, and addressing serious capacity constraints on the delivery side. In 2002 Afghanistan began to experience a violent insurgency as the Taliban and other groups conducted a sustained effort to overthrow the Afghan government. Why did an insurgency begin in Afghanistan? Answers to this question have important theoretical and policy implications. Conventional arguments, which focus on the role of grievance or greed, cannot explain the Afghan insurgency. Rather, a critical precondition was structural: the collapse of governance after the overthrow of the Taliban regime. The Afghan government was unable to provide basic services to the population; its security forces were too weak to establish law and order; and there were too few international forces to fill the gap. In addition, the primary motivation of insurgent leaders was ideological. Leaders of the Taliban, al-Qaida, and other insurgent groups wanted to overthrow the Afghan government and replace it with one grounded in an extremist interpretation of Sunni Islam. State failure is often seen as due to endogenous factors, rather than systemic ones; correspondingly, the idea that states can be built by supporting internal processes and institutions alone is prevalent in policy documents and in some of the literature on state-building. This paper calls both assumptions into question. I demonstrate that three factors were important external preconditions of historical state formation: (1) effective states and sustainable regional security, which is expressed on an inter-state as well as a sub-state level, requires a region-wide creation of effective structures of state; (2) effective states and effective inter-state security require well-functioning states systems; (3) effective states require regional acceptance of the process of state-building. Analysing three contemporary countries and regions, Somalia/the Horn of Africa, Afghanistan/Central Asia and Namibia/ south-western Africa, the article concludes that state-building is substantially facilitated where these three contextual factors are in place. The absence of these external factors in the regions where Afghanistan and Somalia are located illuminate the depth of the problems facing these countries. In these cases regional structures are preconditions of state-building. This report is an effort to help international actors better understand and increase their effectiveness in Afghanistan and other post-conflict cases. The report maps data collected from public information, media reporting, polling, and on-the-ground interviews to measure reconstruction in terms of the effects international efforts have had on people’s everyday lives. This innovative approach to data collection is designed to establish a baseline and promote realistic goals; work in situations where data are unreliable and anecdotes are rumor filled; and measure actual benefits, as opposed to simply money spent, projects completed, and other familiar tests. The report concludes that despite significant advancements since the fall of the Taliban, Afghanistan has not yet reached the “Viable Zone”–where people’s immediate needs have been met and a foundation for building long-term government and human capacity has been established. It makes actionable recommendations for ways to improve the reconstruction effort in the areas of security, governance, justice, economic opportunity, and social well-being. Afghanistan’s restoration of the rule of law has set in motion a renewed debate about fundamental legal principles that has not been seen in the West since the time of the Enlightenment: Who is justice for? Who has the right to seek compensation or justice? Does the state or the individual have priority in seeking justice and delivering punishment? Is law a human creation or is it rooted in divine authority? But it is a debate without an audience in the international community that is assisting the Afghan government in restoring its judicial system because the answer appears so self-evident. Those from societies with long established systems of formal justice automatically assume that it is an ultimate good, that surely everybody wants justice applied by the state. The Afghans who run the formal system assert the same. But they have not won over the population by any means since people, particularly in rural areas, are still fighting out this issue politically and culturally: Is state authority a good idea? Who should set the terms of agreement? Who should determine the rights and the wrongs? This is because so many areas of Afghanistan have operated without (or outside of) formal government institutions for a very long time; not just because of war, but because that is the way things have always been. For example, the assumption that the state has exclusive sovereignty over criminal matters is not fully accepted by most of the Afghan population. Here the family still takes precedence, reserving the right to take revenge or demand compensation when one of its members has suffered an injury. Such injuries extend beyond physical damages to property or person and include damages to a group’s honor that demand retaliation. While Afghan governments formally reject such claims of personal justice, they have never been able to extend the formal system to most of rural Afghanistan; the people there never relied on state institutions and often took offense when the state interfered in what they viewed to be personal matters.